It’s not very often that Blizzard Entertainment launches an entirely new IP. 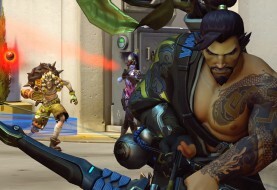 When it was first announced at BlizzCon 2014, Overwatch became the company’s first new IP in 17 years and Blizzard showed it off in style with an animated trailer that was simply jaw-dropping. 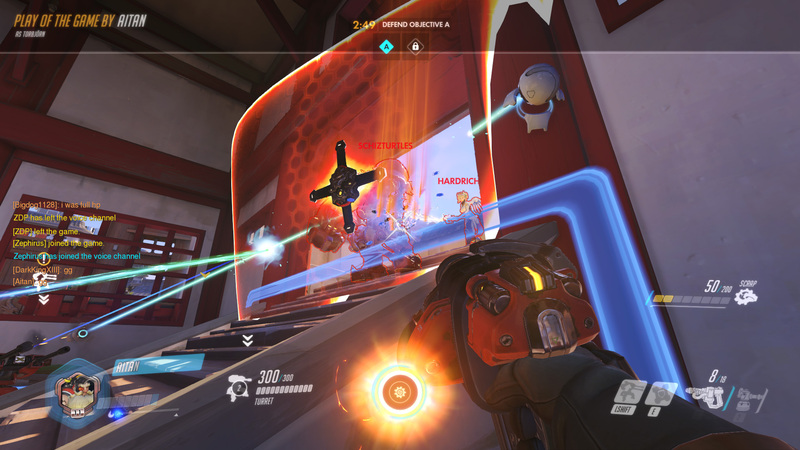 At the following BlizzCon, the obsession with Overwatch had clearly taken hold. Attendees lined up for hours to get their hands on Overwatch figurines and apparel, accessories for a game that wasn’t even released yet. 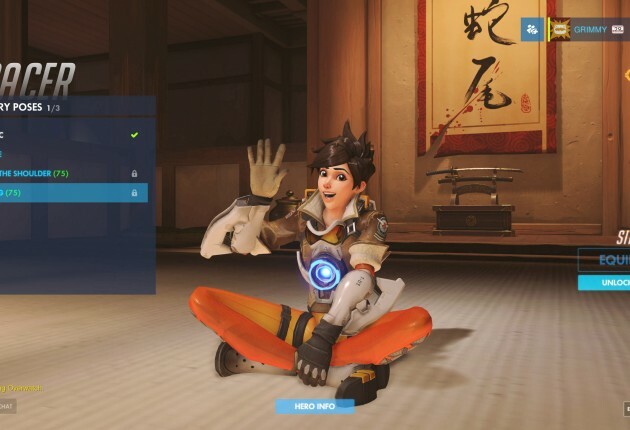 In a way, that’s something only a company like Blizzard can do: create a world with characters like Winston and Tracer that become so lovable, so quickly, even though you know very little about them. 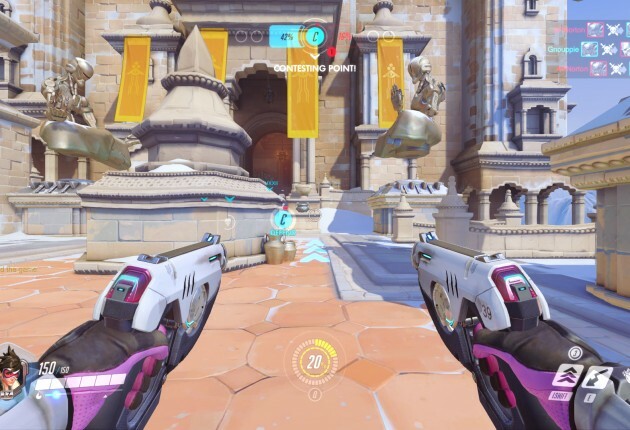 Now, Overwatch is in our hands and at first it’s easy to believe that it’s very different than anything Blizzard has ever done. But if you look closely, the company has arguably found a recipe for success with Hearthstone, aiming for the casual crowd by finding an actual way to create a game that’s easy to learn, but difficult to master. You can see the impact Hearthstone had on Heroes of the Storm, and it continues onto Overwatch. 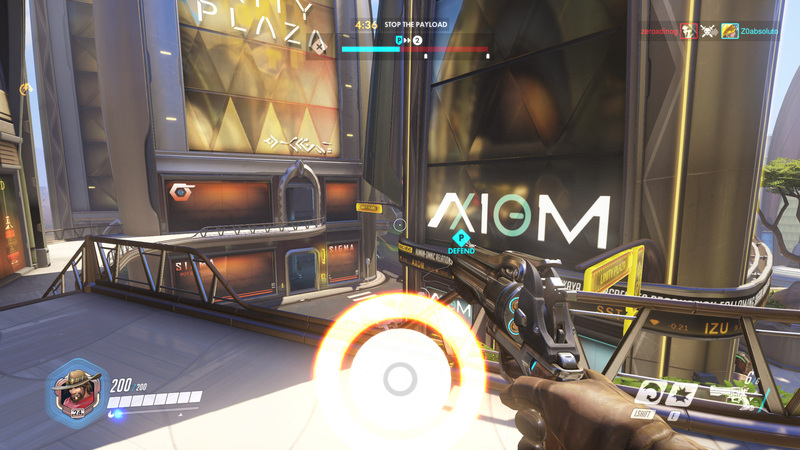 Sure, it’s a first-person shooter and that’s something Blizzard has never released, but at its core, Overwatch is what Blizzard has embraced in recent years. 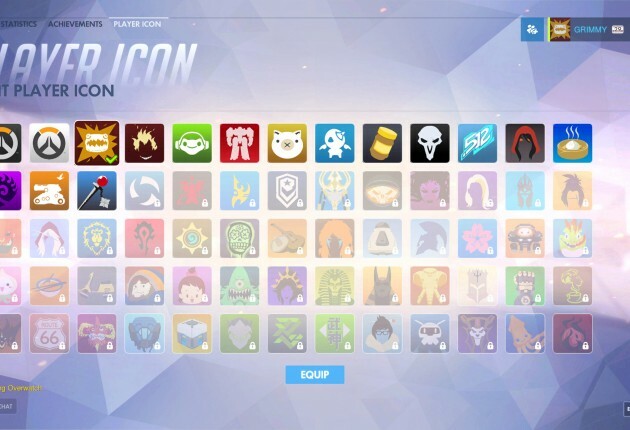 Over the years, Blizzard has created a reputation for not releasing games until they’re absolutely ready to be played. It has established itself as one of the few developers in the industry that releases games featuring a level of polish and finesse that very few do. One could argue that wasn’t the case with certain recent releases, namely Diablo III, but Blizzard still has a better track record than most. 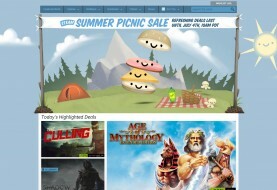 And the post-game support Blizzard has given for Diablo III shows that it can learn from its mistakes. In 2002, Blizzard announced the development of StarCraft: Ghost, a shooter that followed the story of Nova from the StarCraft universe. 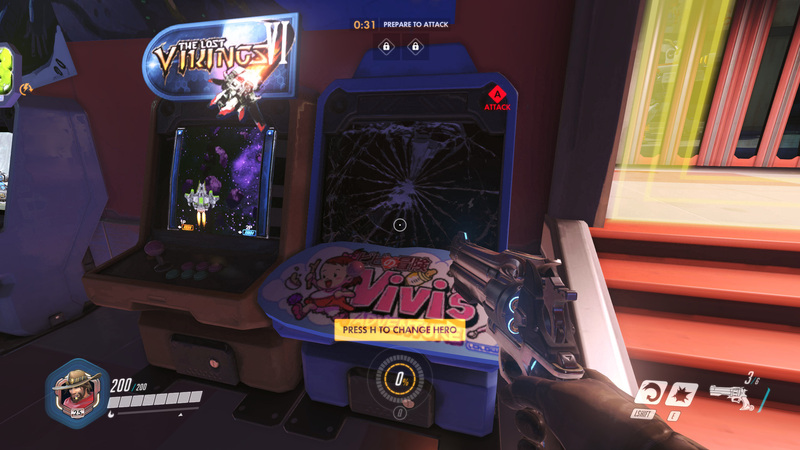 It eventually got canceled and showed that Blizzard wasn’t afraid of killing off games that it didn’t find fun. 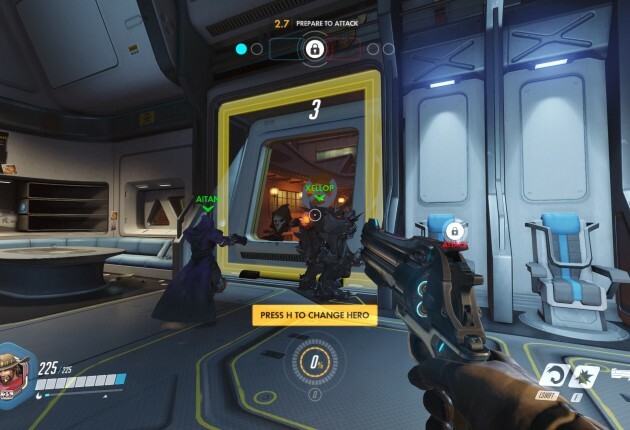 Although we might never know the real story behind Overwatch, it is widely believed that its core came from the company’s so-called “Project Titan,” an MMO that spent years in development and never came to fruition. 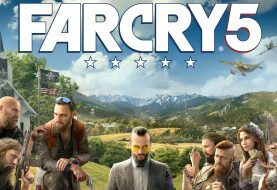 What we’re left with is a hero-based, multiplayer first-person shooter that draws elements from MOBAs, namely skills that are used on a cooldown and an “Ultimate” aimed to turn the tides of battle. Given that this is Blizzard’s first IP in 17 years, we decided to tackle our review from two perspectives, in hopes of painting a full and clear picture on whether it’s a game you would enjoy playing. 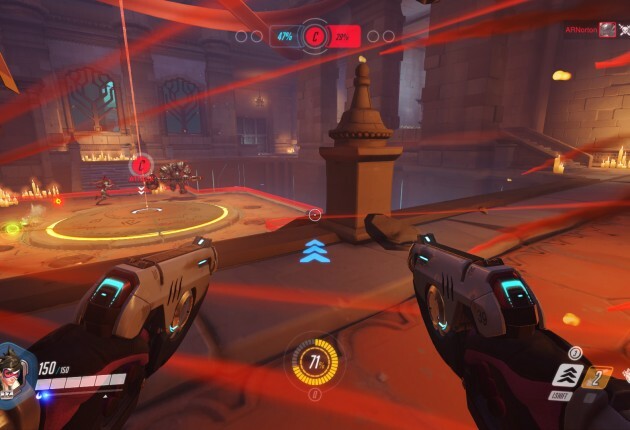 Overwatch didn’t waste much time making its mark in the gaming community, reaching almost 200,000 viewers on Twitch during its release. 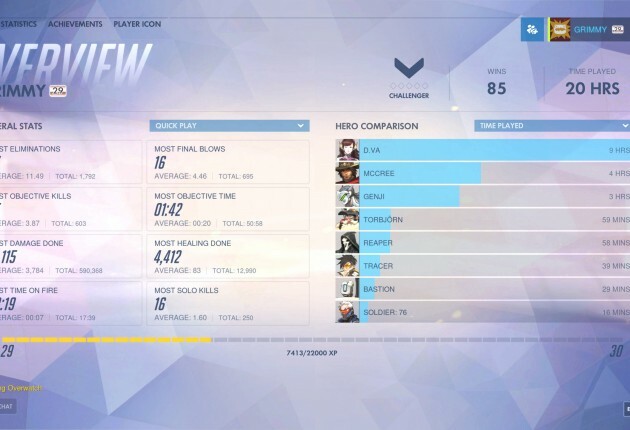 As someone that mostly played Counter-Strike growing up and had never played Team Fortress 2, Overwatch took quite a bit of time to get used to. 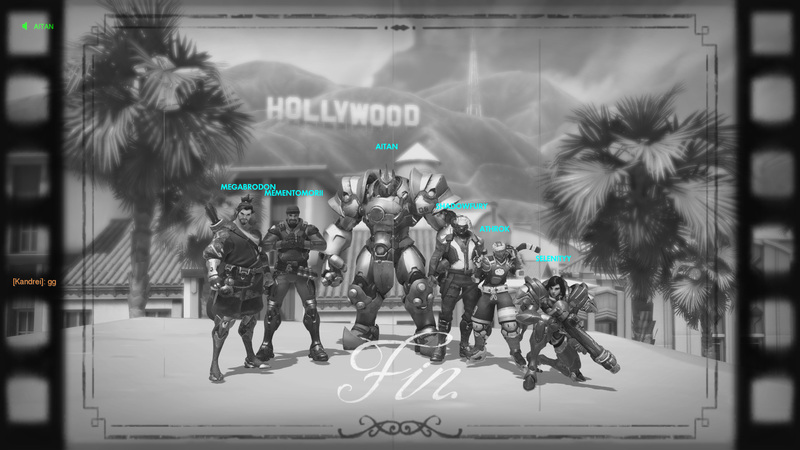 But as I started to understand how the game worked and what the overall direction was, I began to enjoy my experience with Overwatch. 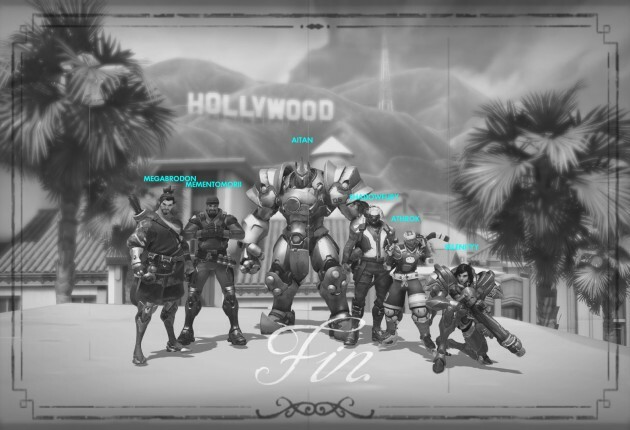 At its core, Blizzard took its experience from Heroes of the Storm’s objective based and team-oriented gameplay and translated it to fit in a first-person shooter environment – and of course it helps to have a game like Team Fortress 2 as a base for a lot of ideas. 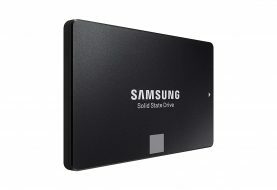 From a design standpoint, there is very little to complain about. 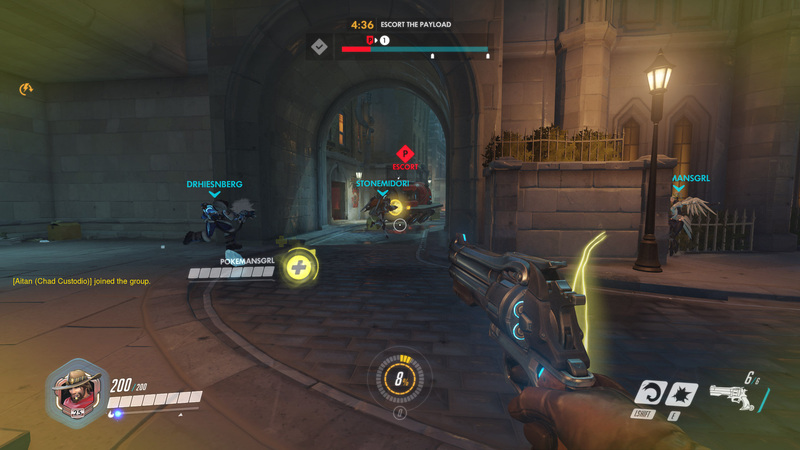 Since Overwatch is meant to be more of a team-oriented game, the characters are separated into four different archetypes: attackers, defenders, tanks and supports. And each of these character types are meant to fulfill a certain role depending on the goal of the match. Of course to be successful, each team will need a tank and a support, but if your team is meant to attack or defend then you should have more characters that fall into those respective categories. 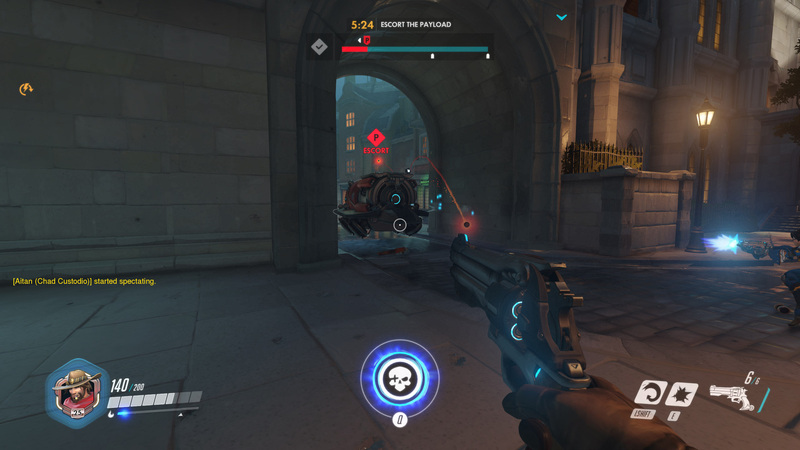 This makes it to where you need to have a good team composition to have the best chance at winning a match, which is great for this style of gameplay. 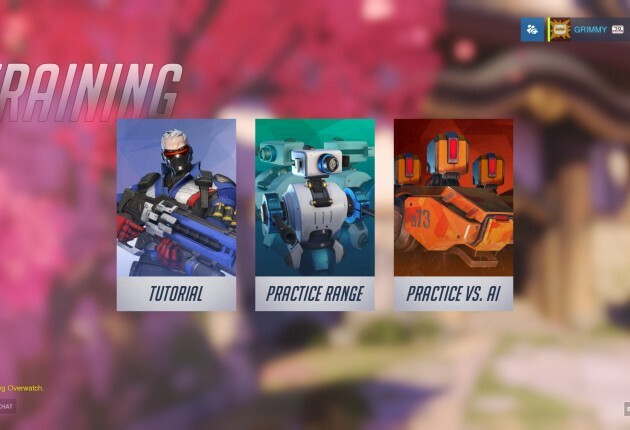 But because of this, Overwatch might not cater to players that like to solo carry and go hero mode to try and win a game. While this can be frustrating a lot of the time, it also makes clutch victories all the more satisfying. 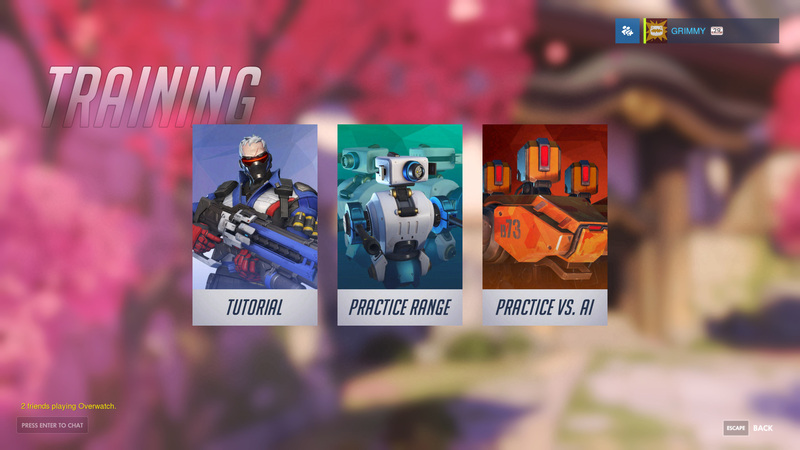 Another thing Blizzard does well with Overwatch’s design is how each match is built around separate phases. This brings you and your team to different areas of the map that feature creative ways to both attack and defend. 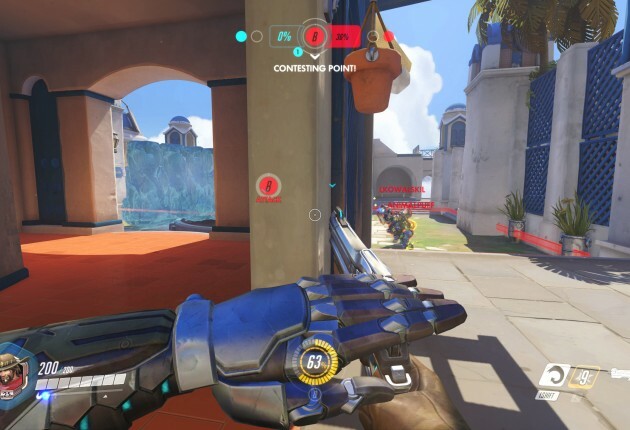 Currently in Overwatch, you can compete in King of the Hill, Point Control and Moving the Payload matches. King of the Hill is a bit different than the other two, as it’s best two out of three rounds and each round has you going to a new map in that particular locale. 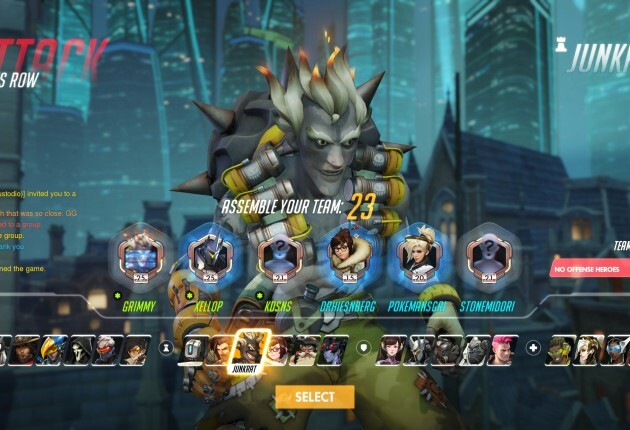 And since certain phases of a match might require a different kind of team composition, the decision to let players change their characters in a middle of a match is a great addition to the game. For example, you might need more siege power for the first phase of a match because there is only one point of entry. 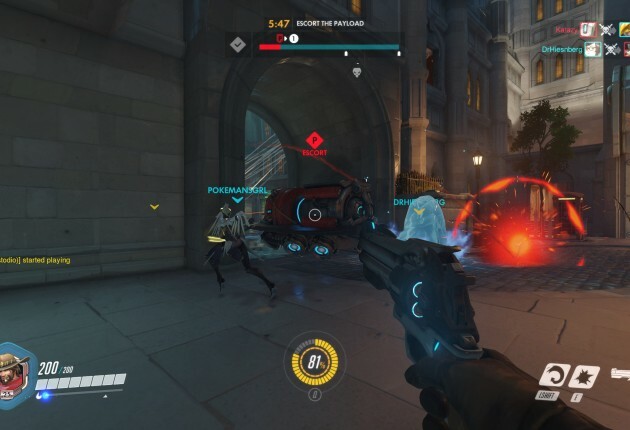 But during the second phase, there might be more ways to invade the enemy team’s territory so you can change things up and pick more mobile characters to surprise and flank the opposing team. 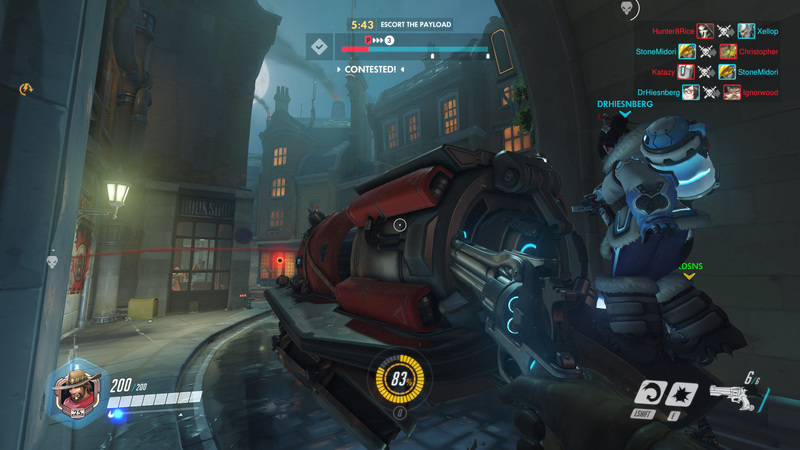 There are some downsides to this, especially when your only tank decides to switch and nobody notices until you lose the match, but overall it is a great design decision. It really isn’t anything new but compared to other FPS games that use a similar system, this kind of implementation makes the most sense because of how dynamic one match can be. It’s something that I am not used to since most multiplayer games I play are MOBAs. 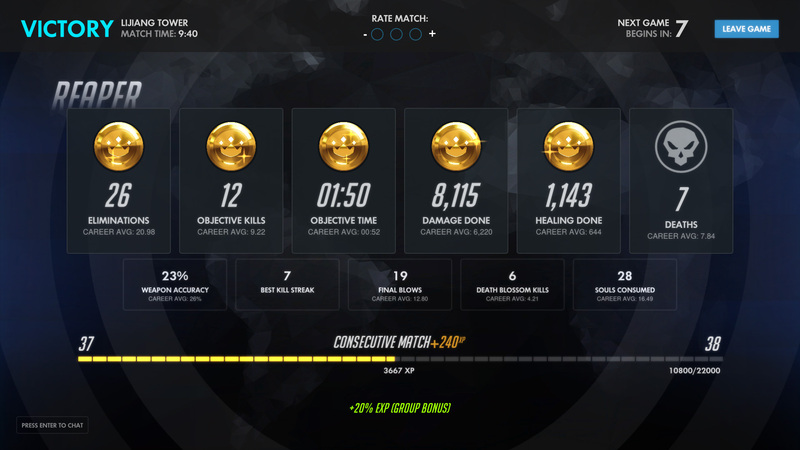 And because I mostly play MOBAs, I love how quick the games are in Overwatch. 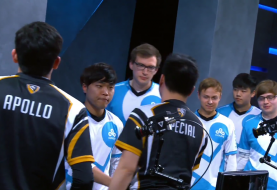 It is a great change of pace and will probably make Overwatch a contender as a top eSport, depending on if it can retain its popularity and player base. No farming, no items and no 90-minute long games. 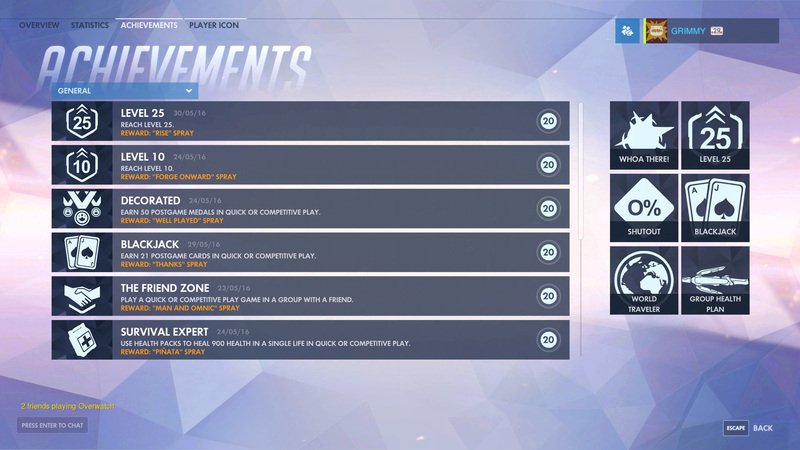 Just a character’s set of skills and a clear goal for each team. 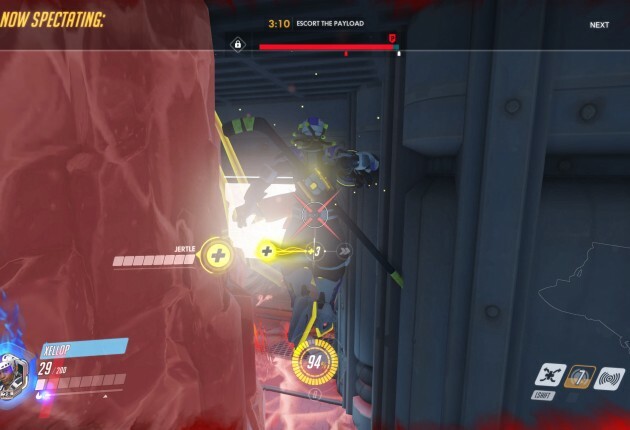 The one thing I am on the fence about is the overtime mechanic, which allows a team extra time to prolong a game if they didn’t complete their objective in time – so long as they’re contesting the point. 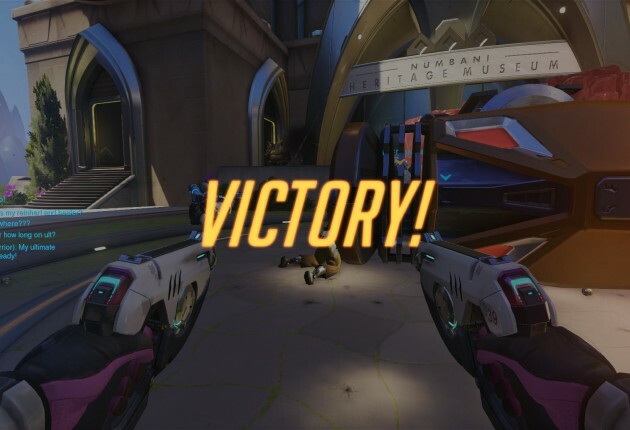 Overtime has made me celebrate a hard fought victory when I thought a game was lost, but it has also made me want to bash my head on the keyboard thinking I had a game won, but the enemy team somehow pulled out the victory. 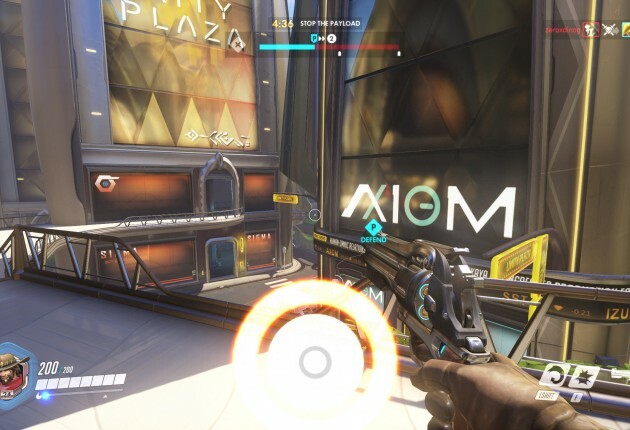 But looking at Overwatch from an eSport perspective, this will probably add to the excitement and give fans a huge adrenaline rush. 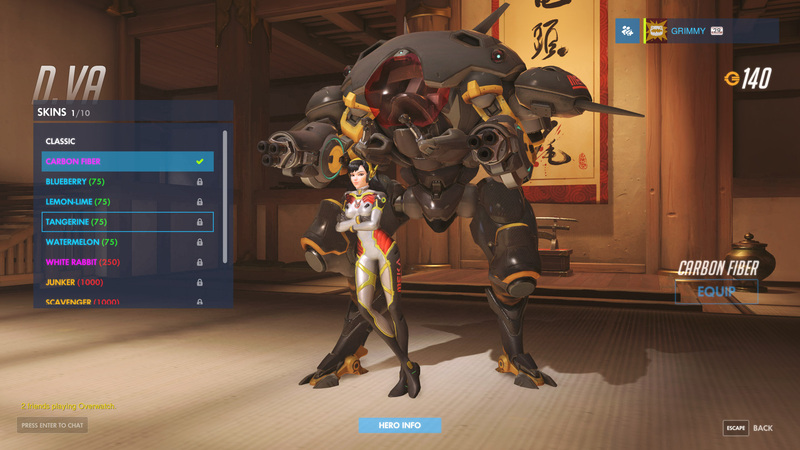 Only time will tell if this mechanic is a good decision and I can’t wait until Overwatch hits the eSports scene. 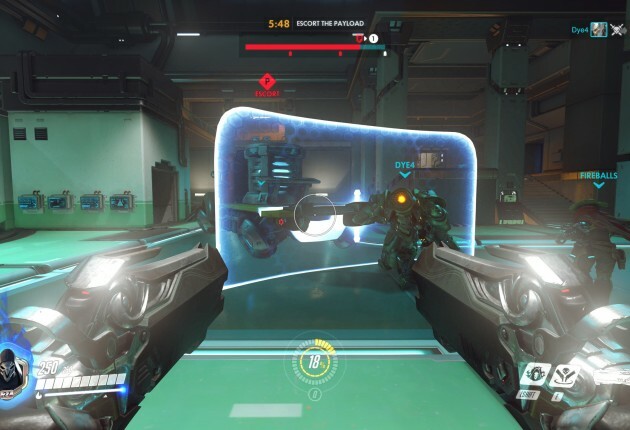 The few problems that I do have with Overwatch mostly stem from the game still being new. 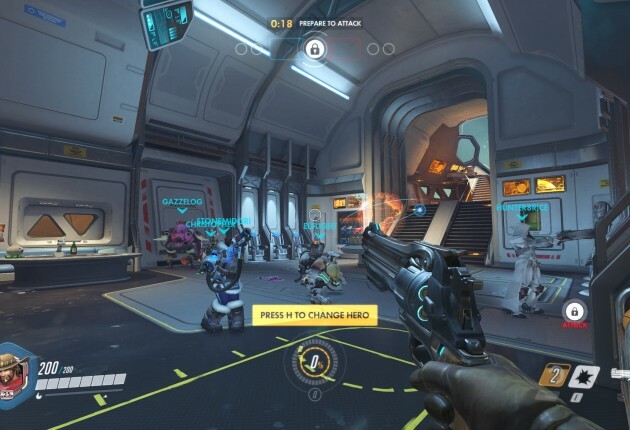 Overwatch is exclusively multiplayer and there is still a bit of a learning curve when it comes to understanding what characters are good for a certain situation. But because of this, I don’t really enjoy playing this game by myself since there are still a lot of people that are still learning. And it’s not so much that someone doesn’t know what they’re doing, it’s more difficult to learn characters when you’re lacking the necessary pieces for a decent team composition. I know that this will be less of an issue as time goes on, but it honestly makes me not want to play the game solo. 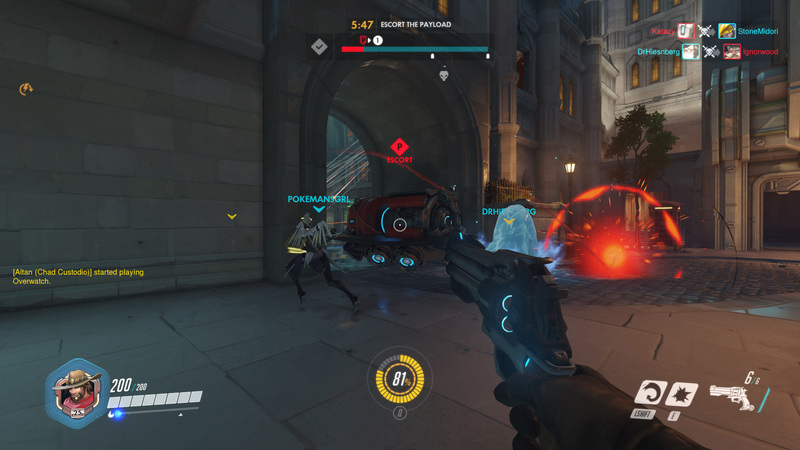 But when I am playing a with a full six-man group, Overwatch has to be the most fun that I have ever had with a multiplayer game. 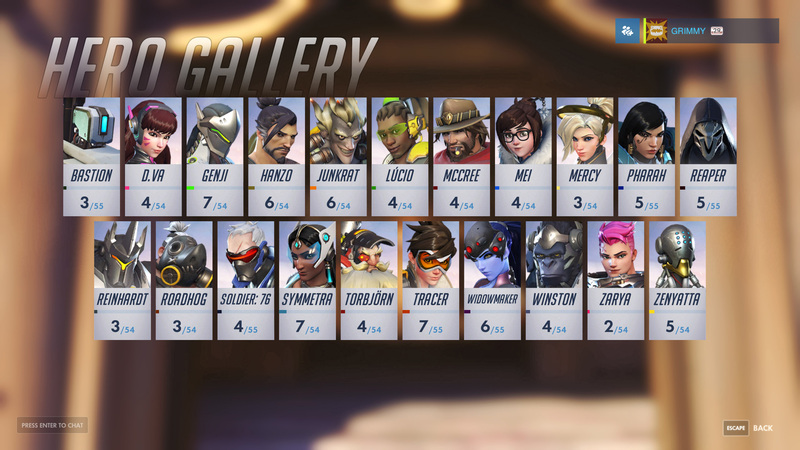 There are also some characters like Mei and Junkrat that I feel should be tweaked a bit to be a little less obnoxious, but the game is still new so it is hard to say if they need to be changed. 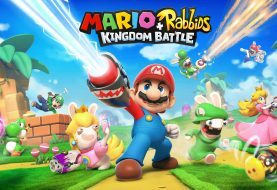 These kind of things are typical when it comes to multiplayer games when they’re first released, but that doesn’t mean they aren’t worth mentioning as elements that took away from the overall experience. 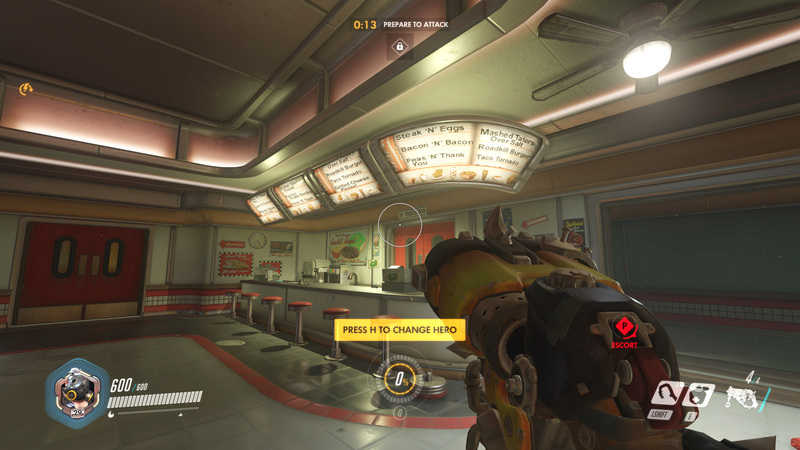 There’s also a lot of great things to say about Overwatch outside of the in-game design. Simply put, this game is beautiful. It has a certain style that mirrors what you would expect to see from a Pixar or Dreamworks animated movie, which basically means that it will most likely stand the test of time. Not to mention each locale has such a unique look and feel to it. There were times I just wanted to stop playing and look at everything in the world just to admire the scenery. I also like the fact that there are different unlockables that players can get for each of the characters. 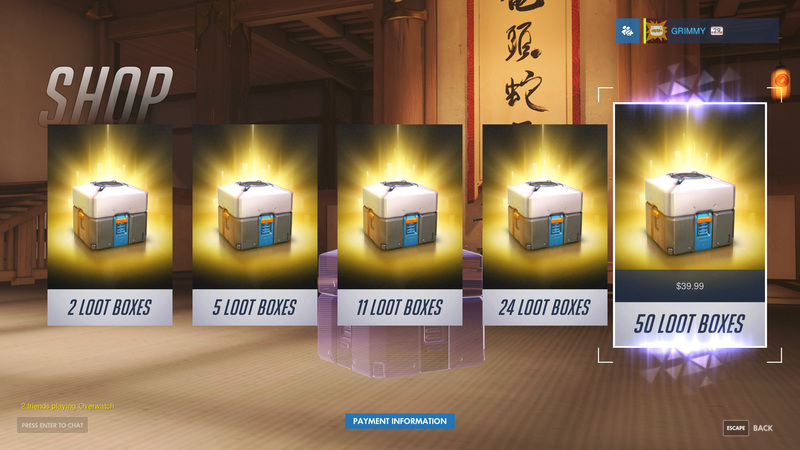 These can be obtained through loot boxes that you can either earn through leveling up by playing the game, or by paying money to buy a bundle of boxes. And these are purely comestic and don’t give people a gameplay advantage, which is how it should be handled. 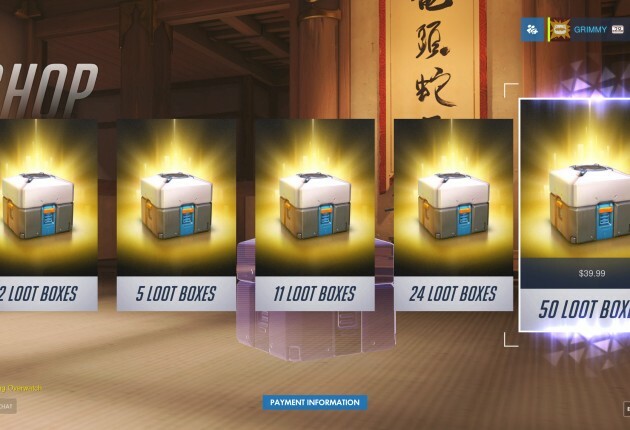 And since Overwatch is only $40 on PC, the extra $20 (compared to a standard game) you saved could go towards some loot boxes for a chance to get a skin that you might like, or a chance to get the in-game currency to eventually purchase the skin that you want. I do wish there was something along the lines of character mastery like there is in Heroes of the Storm and a skin associated with it. 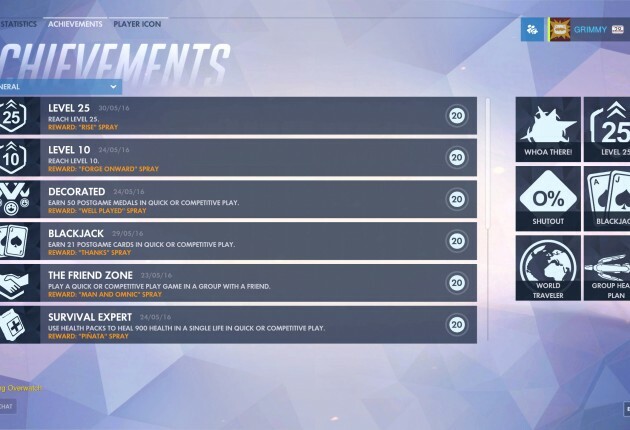 Although there are achievements for each character, it’s just not as fulfilling as better rewards or even a mastery system. 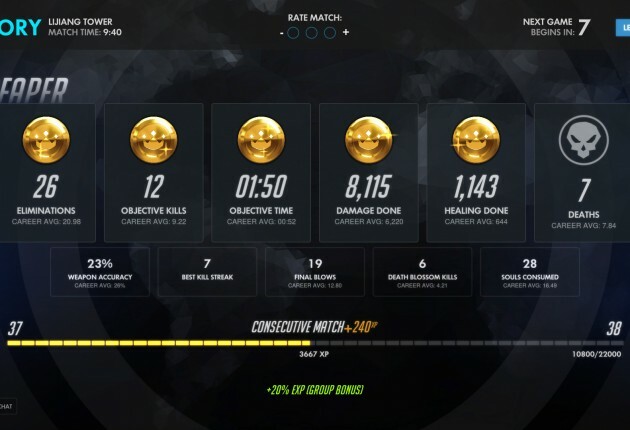 If you have a group of friends and are looking for a great multiplayer experience, then I would suggest you give Overwatch a try. 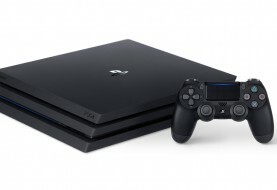 It is only $40 since it is a multiplayer-only game and you would only have to commit 10-12 minutes to get a quick match in, even though you will probably want to play more. It’s fantastic just how much detail there is on each map. 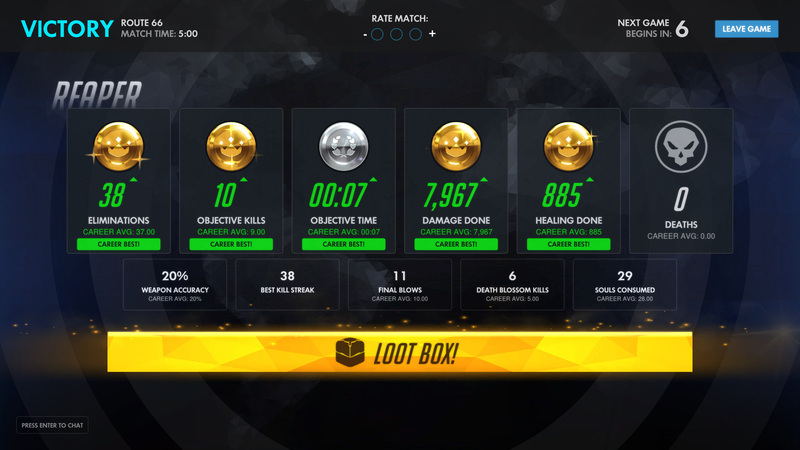 I’ll be honest, when I first played Overwatch at BlizzCon 2014 I was a bit underwhelmed. 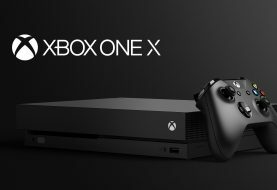 To me it felt like a MOBA dropped into a first-person shooter, and I couldn’t quite put a finger on why it would be widely appealing to a mass audience. 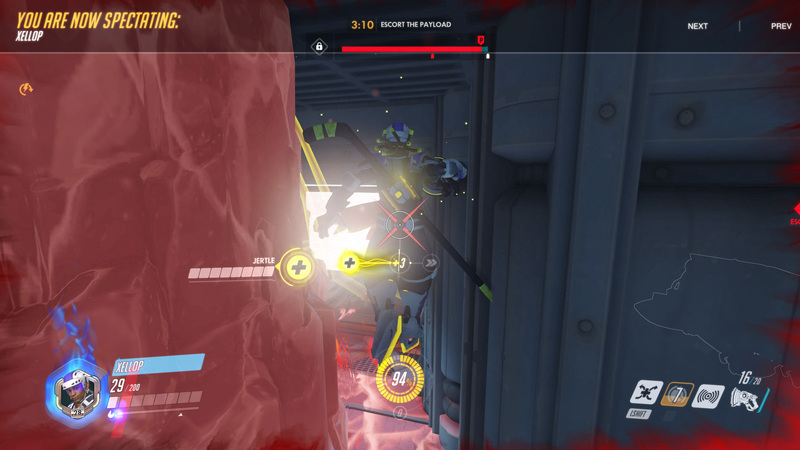 A year later, I checked out Overwatch again with two friends at BlizzCon 2015, and while it was an entertaining experience, I still didn’t feel like I was “sold” on the idea that this would be a game that I could see myself playing for a long time. 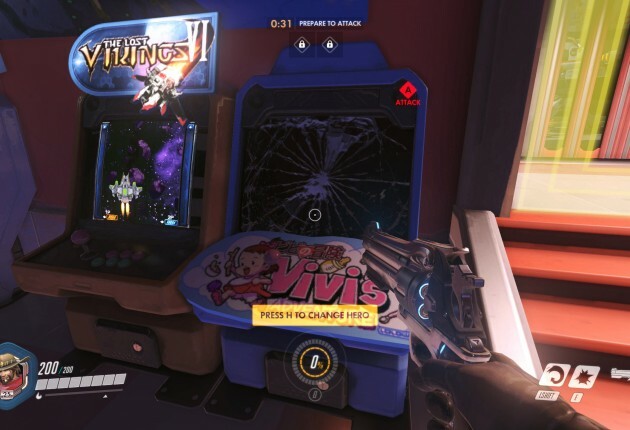 Sure, it might be a pleasant experience to sit down for a match or three every now and then, but how would it keep me captivated like other Blizzard games have in the past? 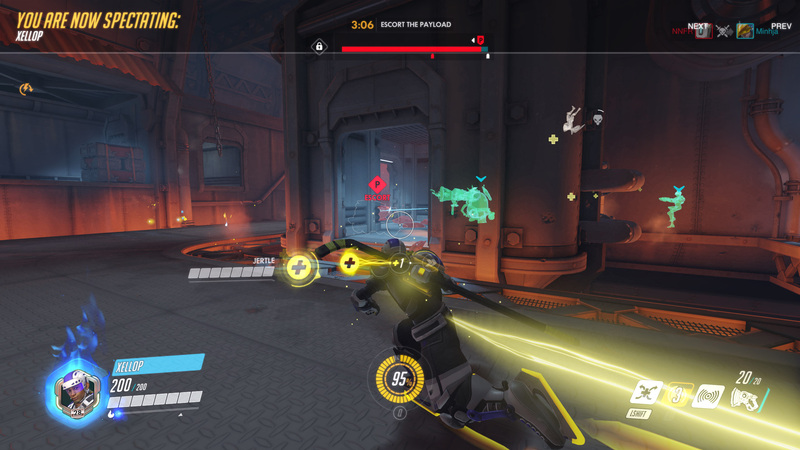 And then I played the beta and realized just how fun Overwatch is. 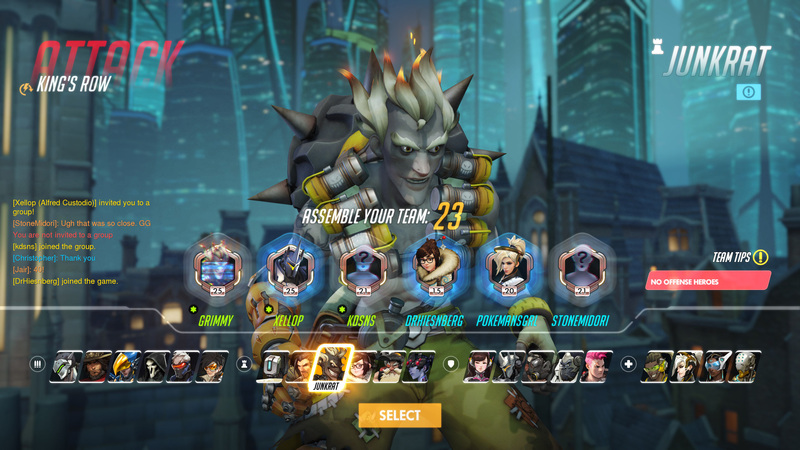 On the surface, it may seem like a shallow game having three game modes across a selection of 12 maps and 21 heroes, but each match feels quite different than the last due to team composition. 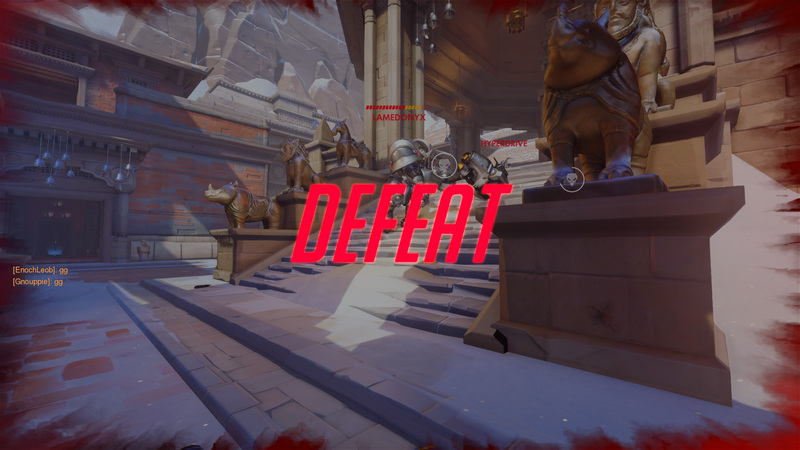 In that sense, it’s quite like Heroes of the Storm, where although you’re stuck playing on a rotation of maps with similar objectives, each match provides a vastly different experience because of who you’re playing against. 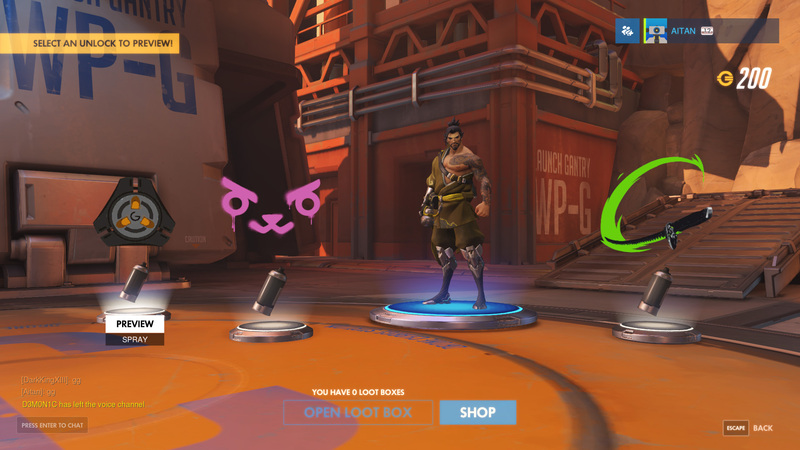 Overwatch goes a bit beyond just picking a character that you enjoy playing. If you want to be successful, you will have to work with your team to change members if necessary in order to counter the opposing team. Yes, there is a bit of a rock-paper-scissors formula going on, but it further defines each player’s role. There’s actually quite a bit of depth once you get into playing dozens of matches and before you know it, you will want to play each and every character to learn how to play them well, as well as knowing who counters who. 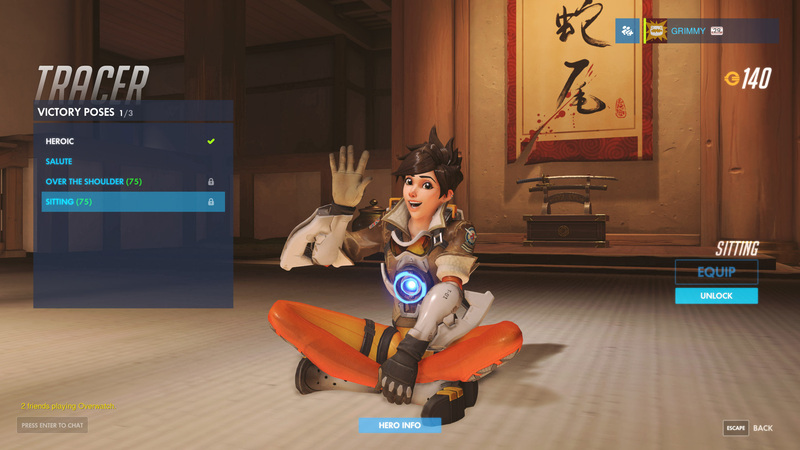 But the biggest thing that defines Overwatch is how inoffensive the game is. 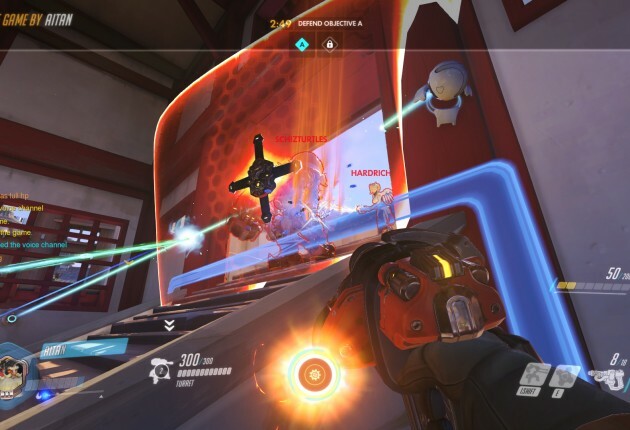 You can’t check everyone else’s kill:death ratio, removing a lot of the toxicity found in MOBAs and other first-person shooters. There’s no easy way to point the finger at someone when you lose. 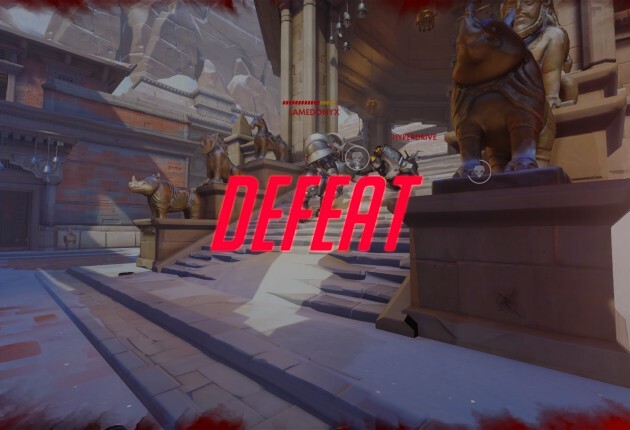 As outrageous as it might sound, Overwatch is one of the few games where you feel like you lose as a team, or win as a team. 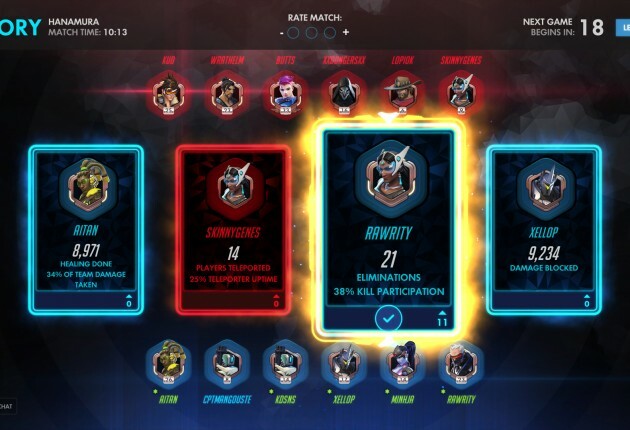 At the end of each match, merits are rewarded for a variety of things, making everyone feel as if they can contribute to the match even if they can’t rack up the most eliminations. And that’s a big deal when it comes to a team-based game where every role plays a part. 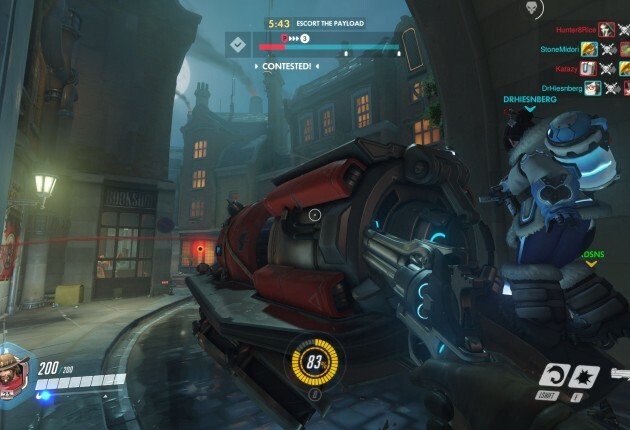 Characters like Reinhardt have a primary role of blocking damage to support the team, but that doesn’t mean he can’t be absolutely devastating in a fight and gather up kills on his own. 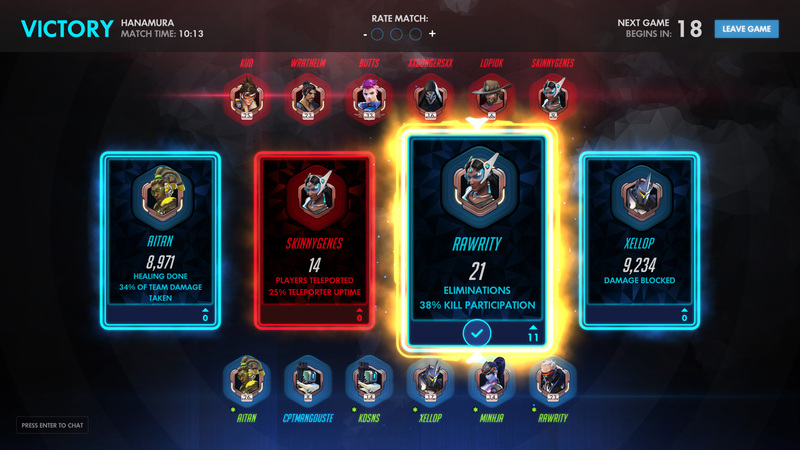 The thing is, you feel like you’re contributing even if you’re not the one with the most eliminations at the end of the match because the spotlight’s shown on how much damage you blocked or healed. 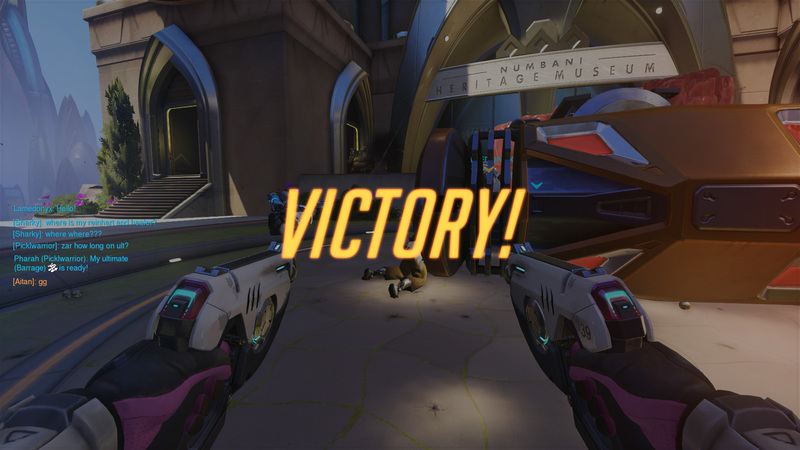 And that’s a core reason why Overwatch is such an enjoyable experience. 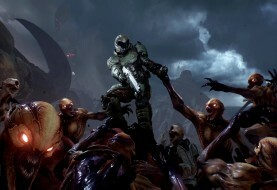 Players actually feel like they’re being rewarded for playing the role of a tank or support in a first-person shooter. This isn’t an MMORPG where the tank and healer roles are absolutely essential, and it’s perfectly understandable that everyone wants to play a role where they can shoot or kill other players. But with the diversity of the characters and how differently each one plays, you’re nearly guaranteed to find one that fits your playstyle and it’s quite satisfying. 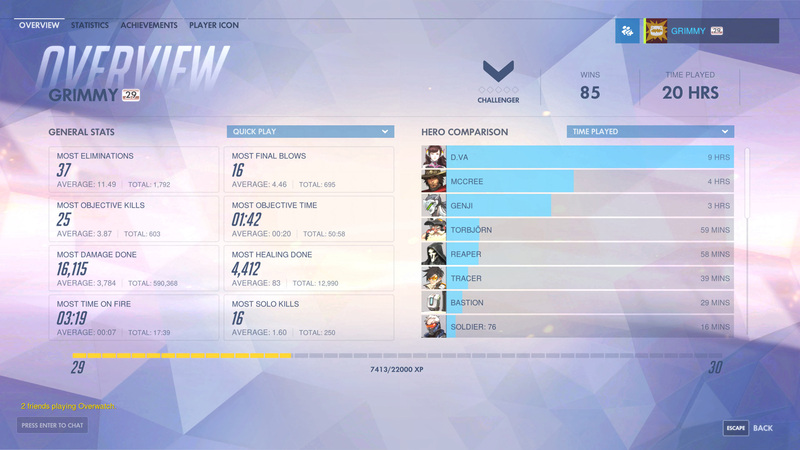 Perhaps the most interesting revelation I had while playing Overwatch was how quickly I was able to cycle through the roster when it came to complaining how “overpowered” a character felt. 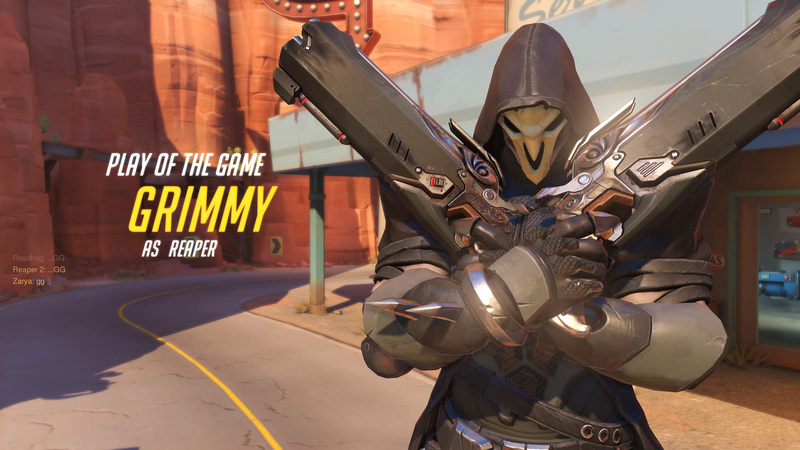 One match I would talk about how Reaper was ridiculous, and then the next match I couldn’t get over how annoying Junkrat was. But here’s the thing, after seeing someone be successful with a certain character, you feel inclined to try that character out. Then you realize it’s not as easy as it seems to be good with that particular character. 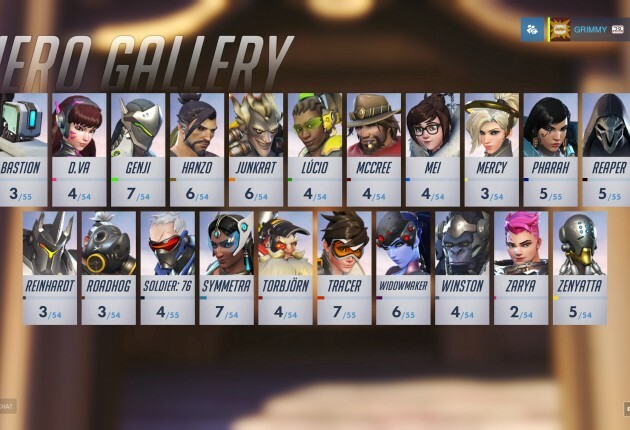 Before you know it, you’ll realize that you’ve complained about every character in Overwatch‘s roster, which speaks volumes of how versatile and different each character really is. When everyone feels overpowered, then no one really is, right? 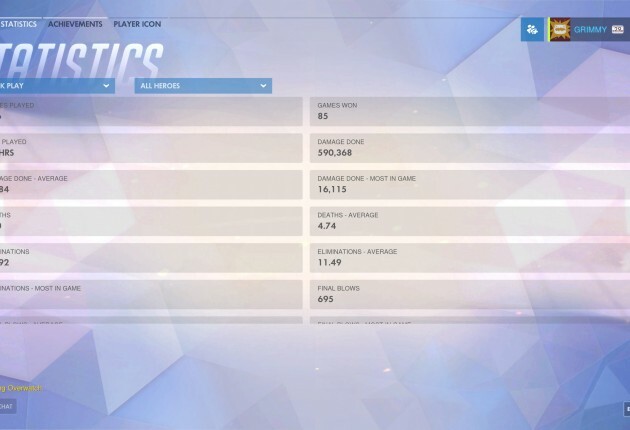 Is every single character in Overwatch balanced? 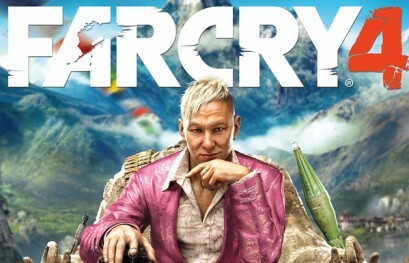 That’s a real delicate issue, considering the game follows a rock-paper-scissors-type formula in my opinion. 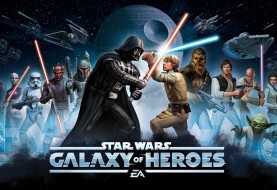 Certain characters are stronger against other characters, and in my hours of playing I have never found one that could totally shut down every other hero. 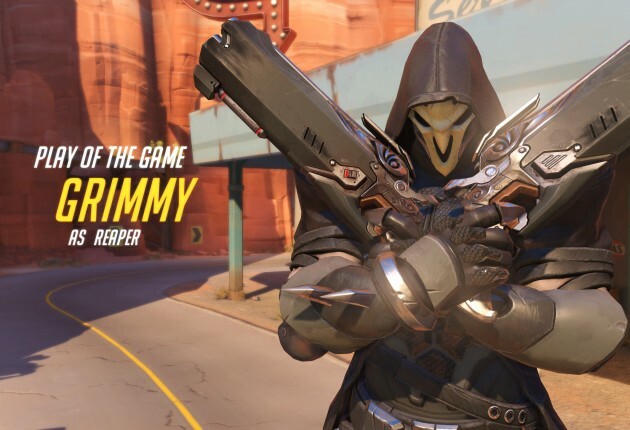 There’s little doubt that competitive play will see some more characters played more often than others, but it also wouldn’t be much of a surprise if everyone eventually makes an appearance on a team. Not only are the characters varied in their roles, but also in their ethnic backgrounds that encompass the entire world. 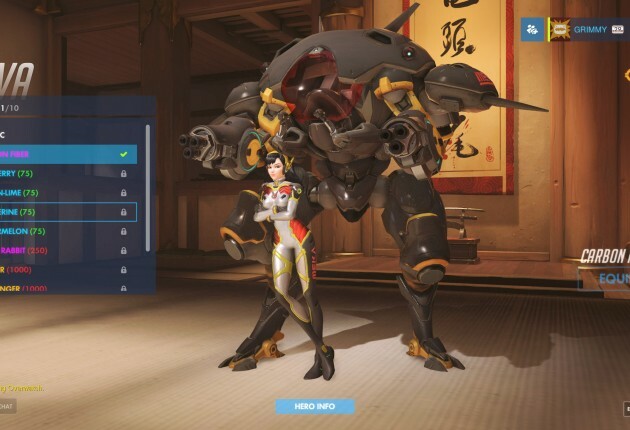 It’s a bit like a page out of Street Fighter‘s book, where each character comes from a different corner of the planet and the attention to detail for each is something you would expect from Blizzard. 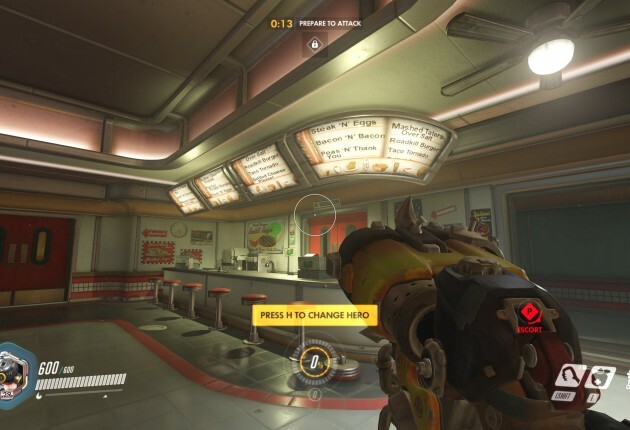 You will often hear characters like Mei, D.Va, Hanzo and Genji speaking in their native tongue, making each character very distinct. 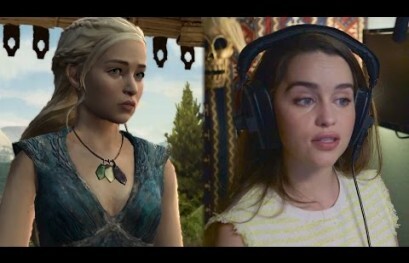 That also influences a huge part of the game, as sometimes you won’t see what’s coming – but you will hear it, with each character having their own collection of unique sound effects. 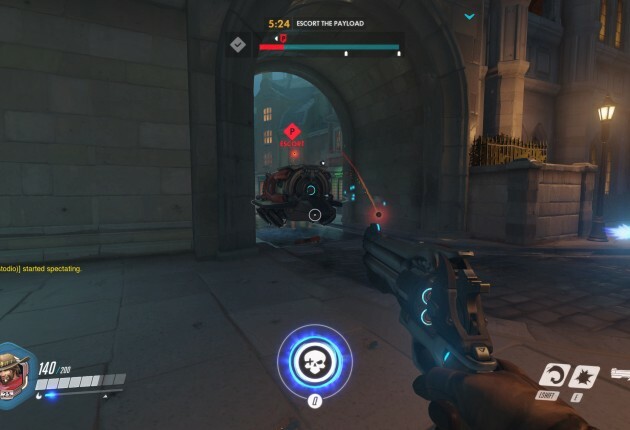 Over time, you will know when a McCree is reloading or a Roadhog is stomping up the steps around the corner. 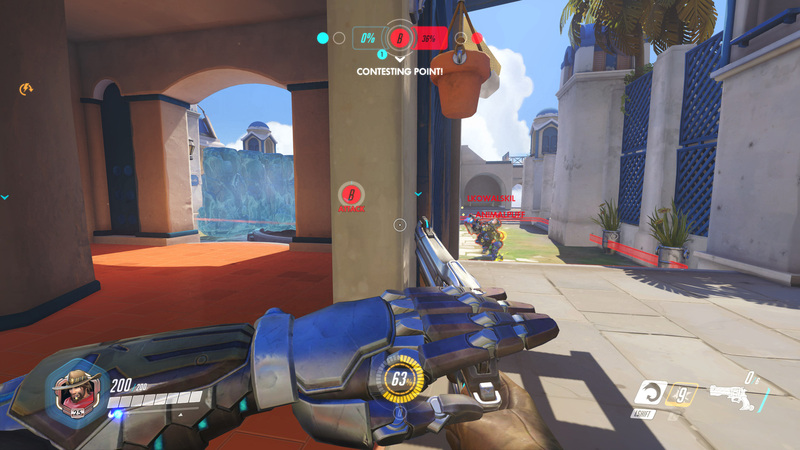 It’s little details like these that that add up to make Overwatch such a brilliant game. Each map has plenty of destructible items while waiting for the team to select their characters and it’s very clear when someone is on your team and when someone is your opponent. Same with the skills and attacks – blue is good, red is bad. 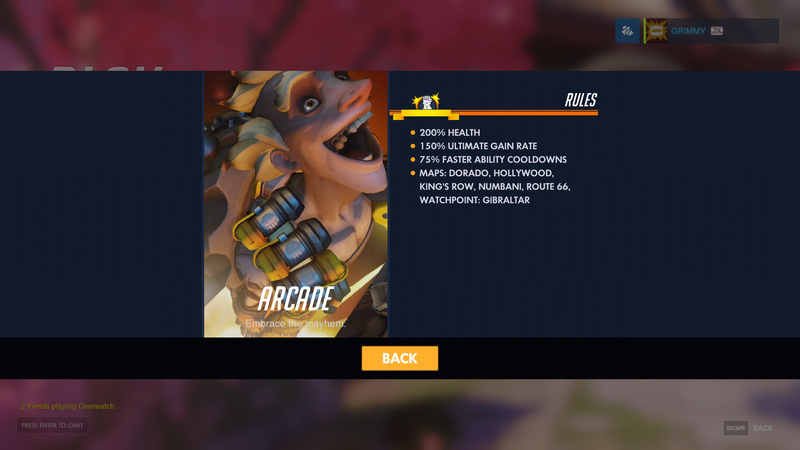 Could Overwatch use more game modes and maps? Absolutely, as it is admittedly bare bones and could start feeling repetitive rather quickly when it comes to scenery and objectives. 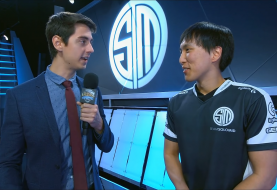 But it is supported by the fact that each match feels so different given the team you’re playing with and against. 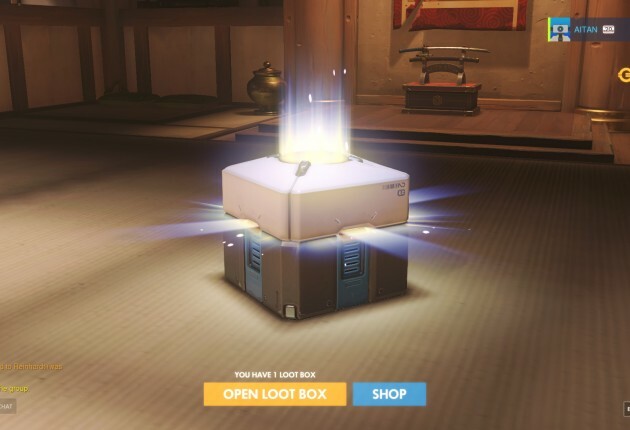 As it stands, the biggest question is whether Overwatch presents enough of a value for its price tag, especially on console where it’s $59.99. Like Chad, I believe the answer falls on whether you have friends to play it with. 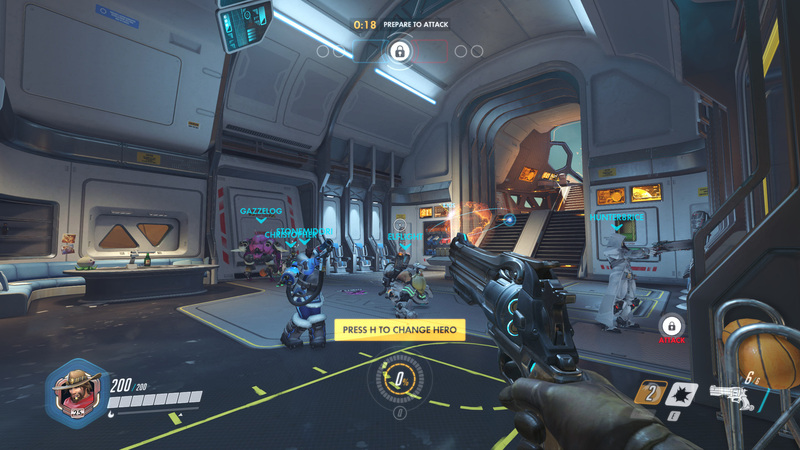 The Overwatch experience is quite different when you’re able to coordinate with friends on voice chat rather than random groups of people. 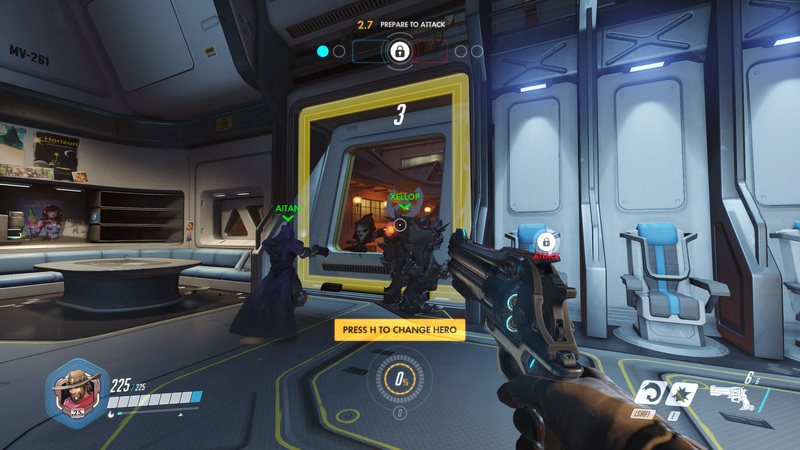 While there are emotes, the fast-paced action doesn’t really allow typing or coordination if you aren’t on voice chat with others. And then there’s always the fear of how the community is and how defensive people get when asked to switch characters. 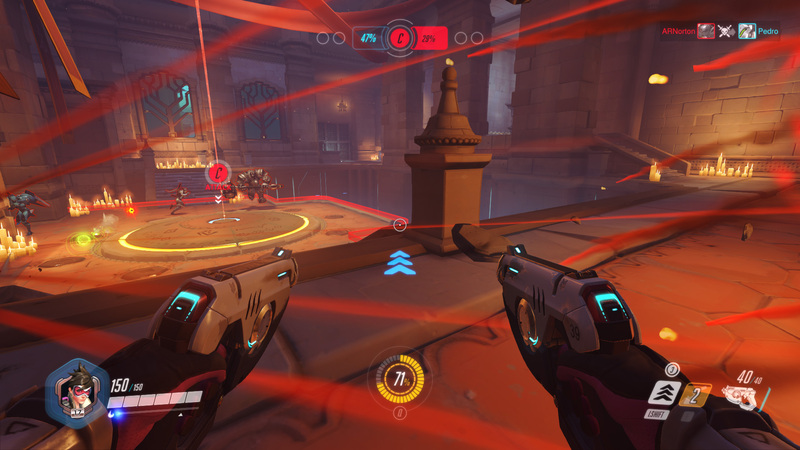 Unfortunately, those are some things that Blizzard will always have a tough time tackling, but Overwatch‘s barrier to entry is much lower than other games. Like I mentioned before, it’s quite difficult to pinpoint if a certain player is the weakest link in the group, so you don’t have to feel like you’re going to be verbally attacked if you have a bad match. It’s absolutely possible to have an enjoyable solo experience, if you’re not the competitive type that expects to win every single match. 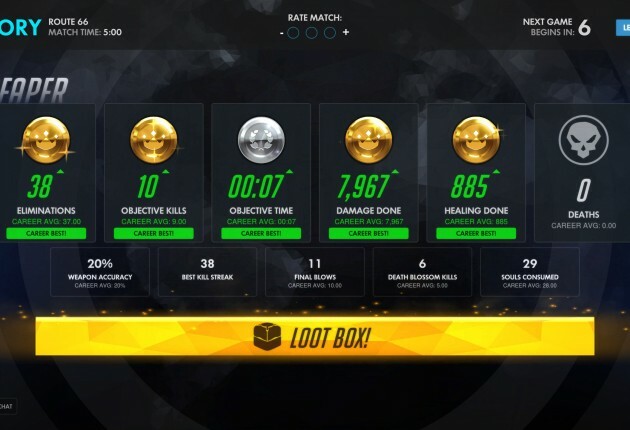 As for Overwatch‘s progression system, there isn’t much of one and that’s alright because if fits the tone of the game. 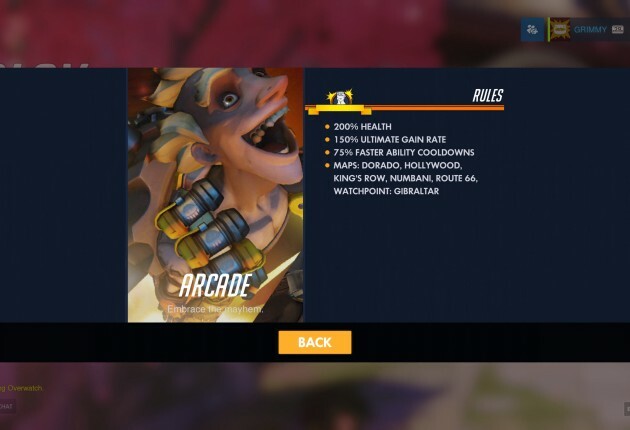 With 21 heroes at your disposal and the ability to switch each time you die in a match, it’s understandable that each hero doesn’t have their own progression system. 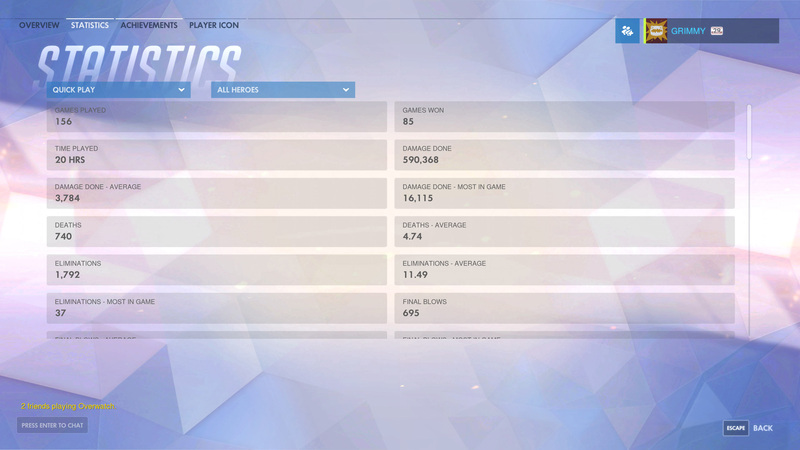 While it would be nice to be able to spotlight your mastery with a certain hero, that could be perceived as a grind for some players, and ultimately a turn off for the game. 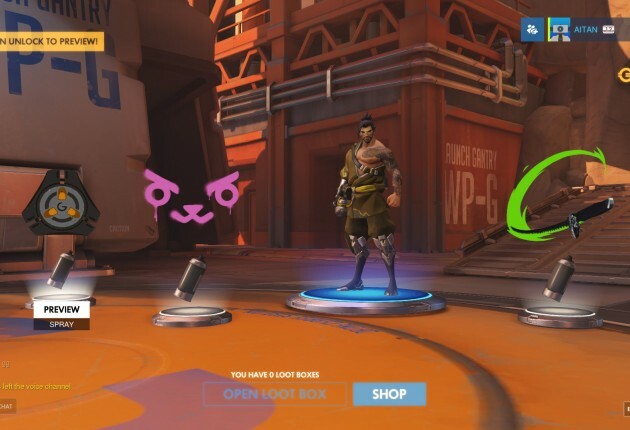 Instead, Blizzard went the route of rewarding cosmetic items such as poses, sprays and skins, all of which can be purchased via loot boxes like Chad had mentioned. Some people might want more in terms of progression, but then it would take away from the fun of trying a variety of characters whenever you want. 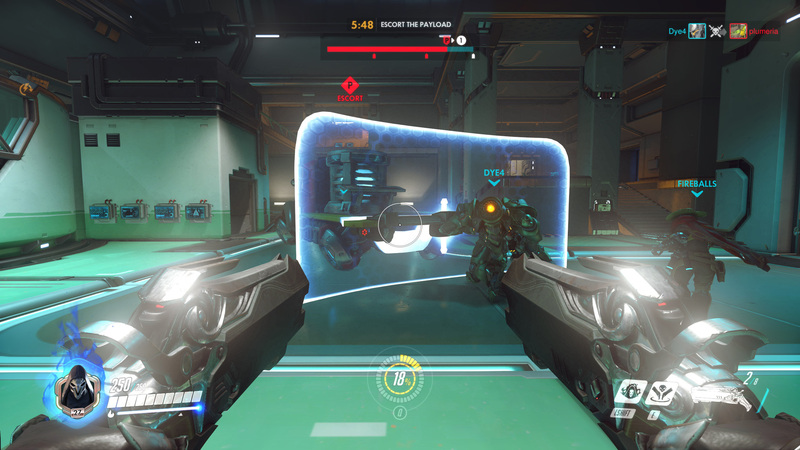 Lastly, the level of polish presented in Overwatch just makes the combat feel satisfying. 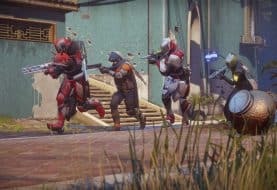 Each shot, melee hit or skill gives you immediate feedback on whether or not it connected. 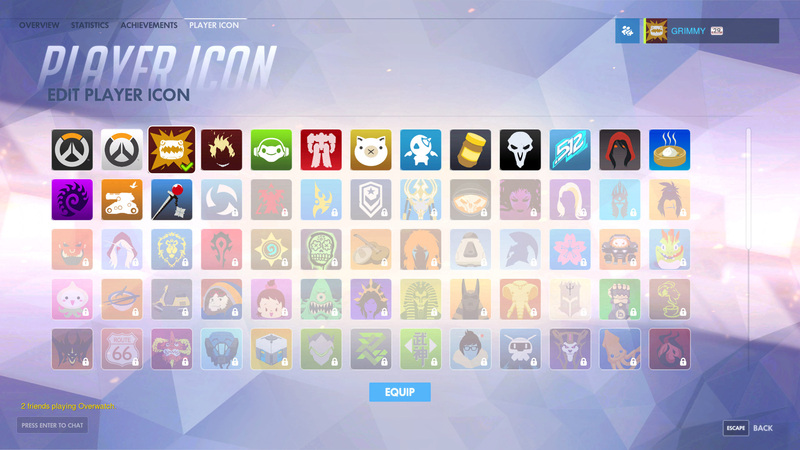 It’s impressive what Blizzard has managed to do with the roster of characters, making each one feel so unique, yet easy to use but difficult to master. 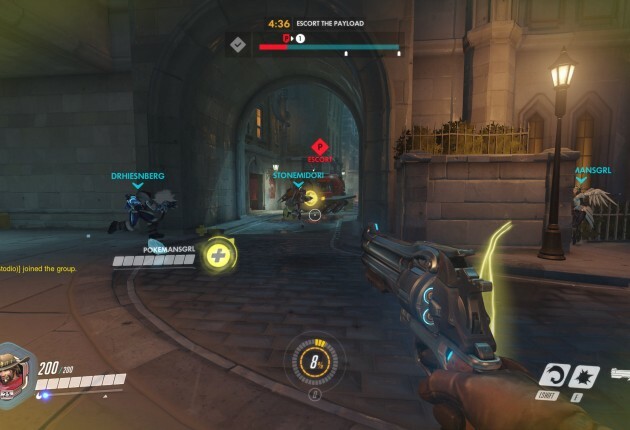 You would think with only three real skills at your disposal that it would feel limited, but there’s a level of complexity that ensures you can play Overwatch for a real long time, especially if you love trying different roles. 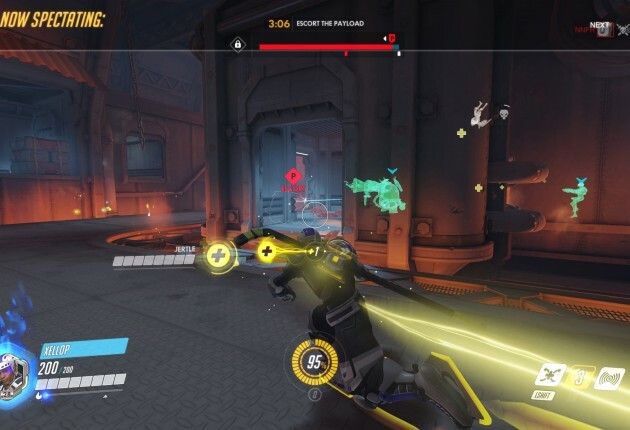 There are definitely some characters that are easier to play than others, but once you get proficient with a difficult character like Genji, you could really help flip a match in your team’s favor. 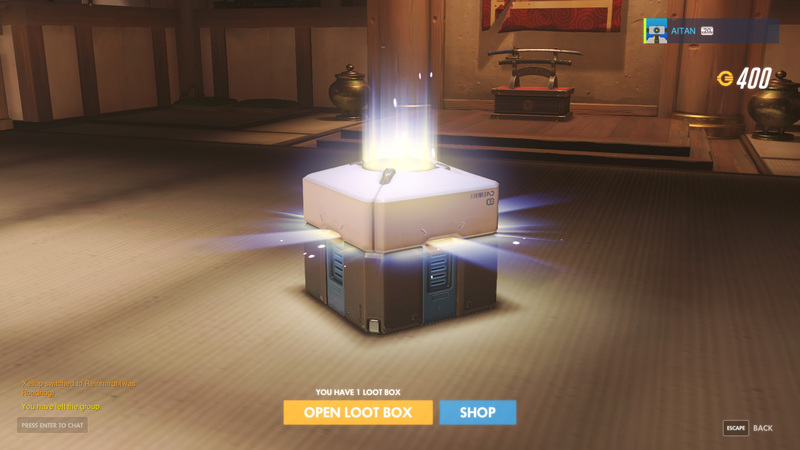 Moving forward, Blizzard promises that all additions to the game including characters and maps will be free. 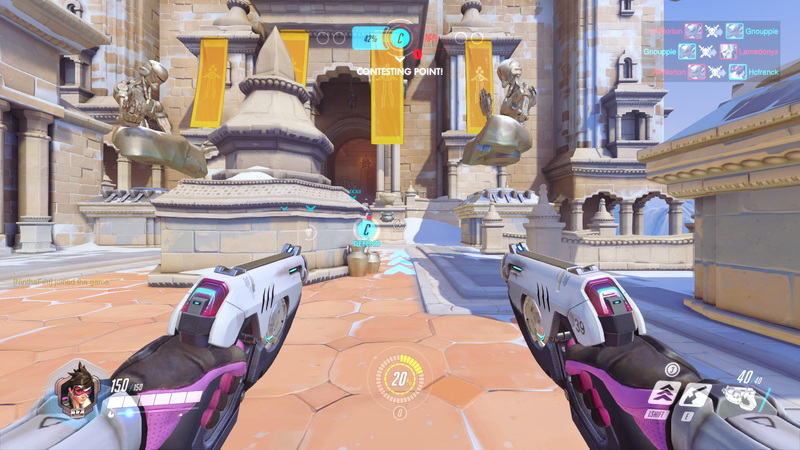 There’s a lot of reasons to check out Overwatch if you’re a fan of first-person shooters, but even if you’re not, the game is much like Hearthstone where you could take the plunge and introduce yourself to a genre you never knew you might like. It’s different enough to set itself apart from the crowd and it’s all the more enjoyable if you can bring a few friends along for the ride. These reviews are based on a purchased copy of Overwatch for PC.